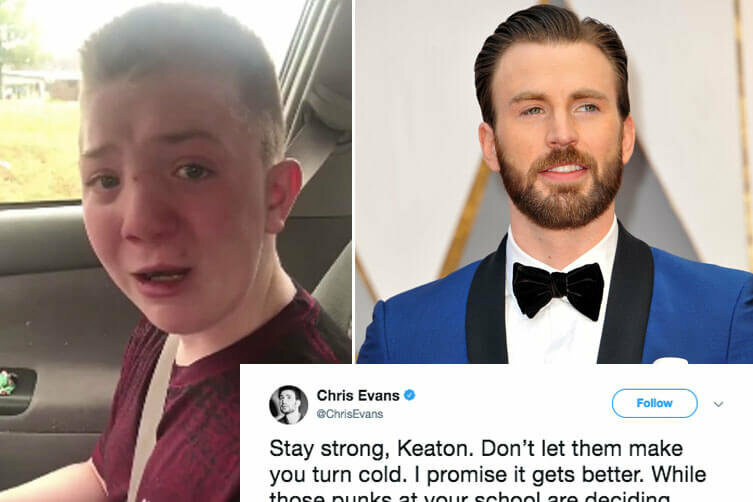 Those are the words of Keaton Jones, a middle-schooler from Knoxville, Tennessee, who’s been the victim of bullying for far-too-long. 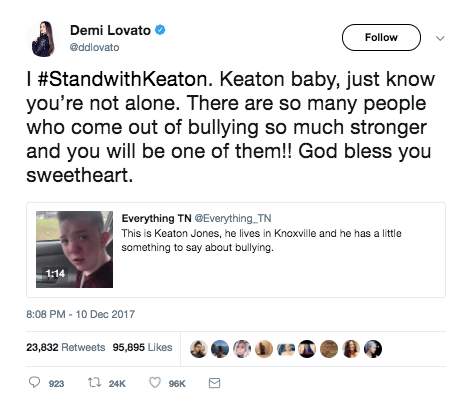 After having his mom, Kimberly Jones, pick him up from school yet again, because he was afraid to go to lunch, Keaton asked for her to record a message. In the video, he asks why the bullies at school continue to make him the target of their horrible words and actions. Kimberly then followed up by asking what the bullies did to Keaton at lunch. “Poured milk on me and put ham down my clothes. Threw bread at me,” he responded. 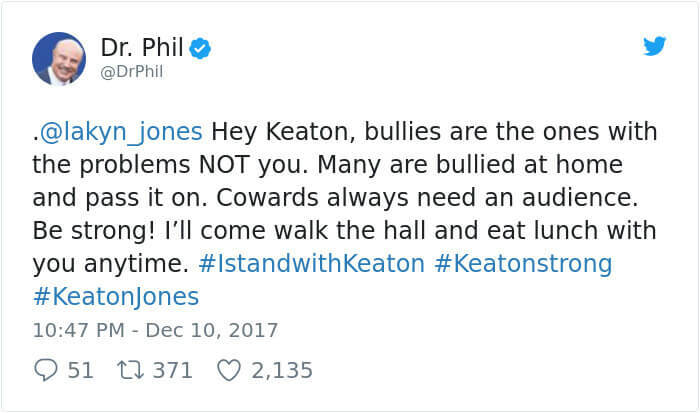 As the conversation continues, Keaton reveals that the bullies don’t just do these things to him, but to other students as well. 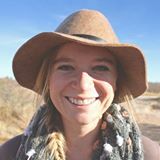 “I don’t like that they do it to me, and I for sure don’t like that they do it to other people, because it’s not okay!” Keaton says, adding that some people are different, and there’s no need for them to be criticized about it. He closes the heart-wrenching video with a message to anyone in his shoes, encouraging them to “stay strong,” though through painful tears, he admits that it’s hard to do that. Before they knew it, Keaton’s powerful message had taken the Internet by storm. His video was shared more than 500,000 times on Kimberly’s Facebook page alone before she made it private. But the real support came from Twitter. 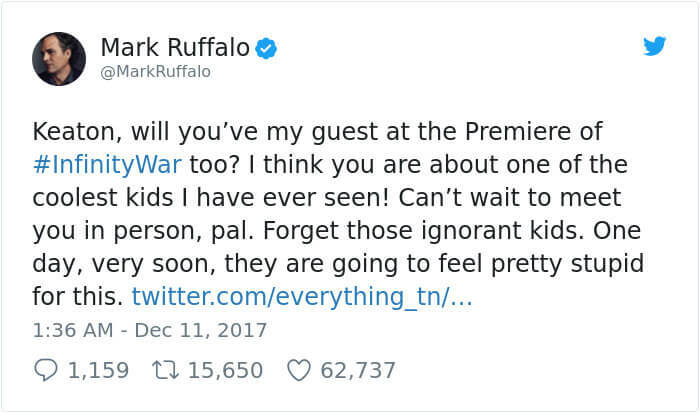 In just two days time, Keaton has garnered the support of more than 50 celebrities, politicians and athletes, many of which either invited him to some super cool celebrity shindig, or simply just invited themselves to his lunch table! 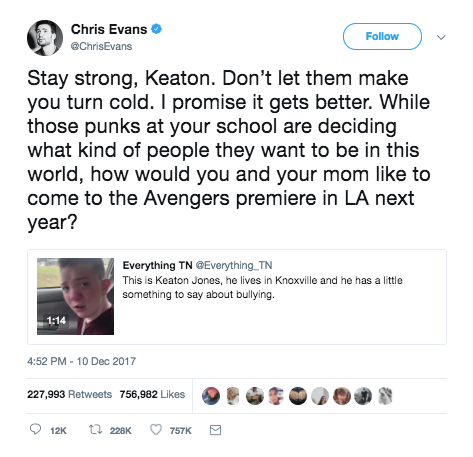 Keaton’s powerful message is proof that there is strength in numbers. It only takes one person to step up and say something for a chain reaction to unfold. 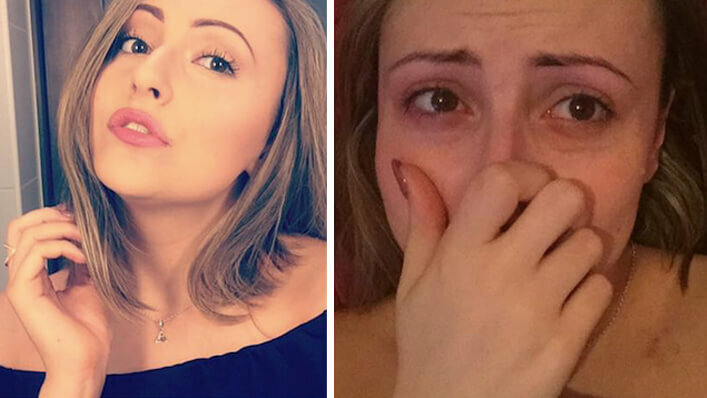 All the praise for this brave student! I’m sure lunch on Monday will look MUCH different.